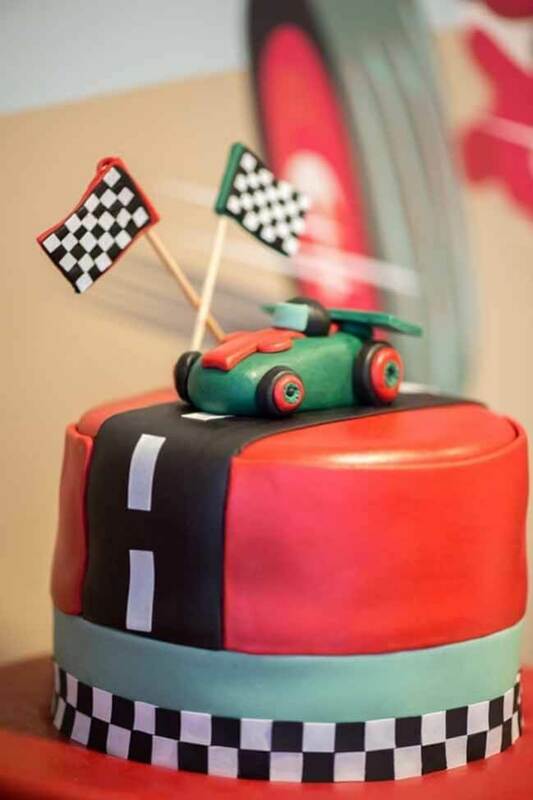 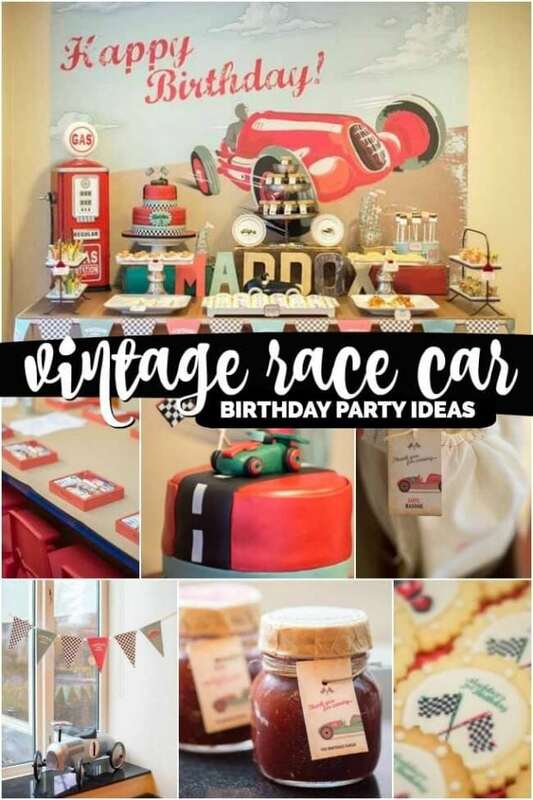 Earlier today I featured a fabulous retro race car boy’s birthday and I’m excited to be able to follow it up with another great party full of fun vintage race car party ideas. 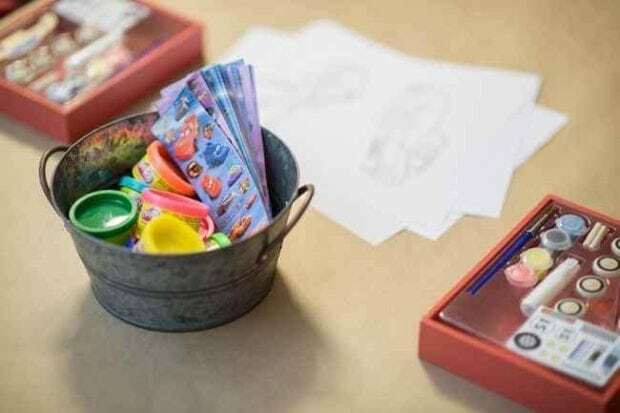 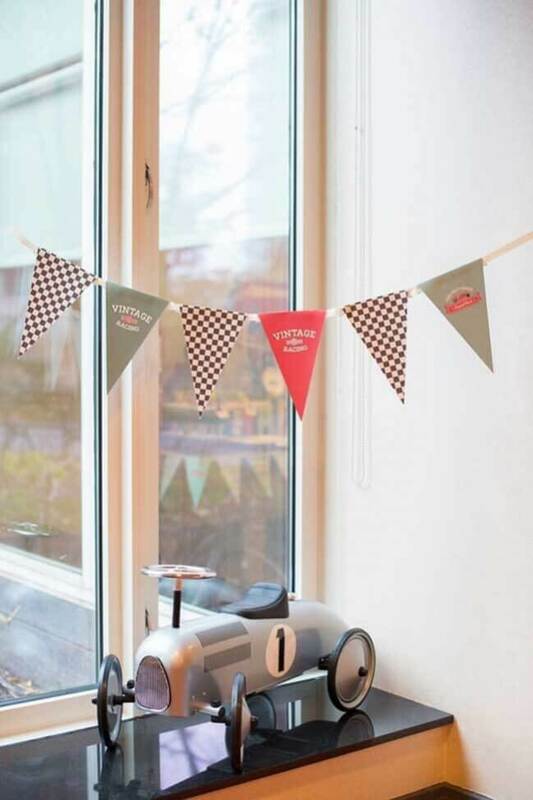 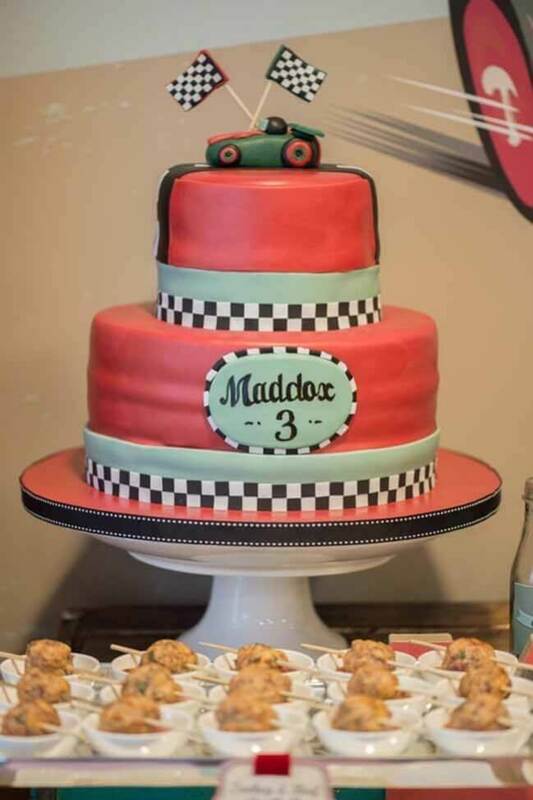 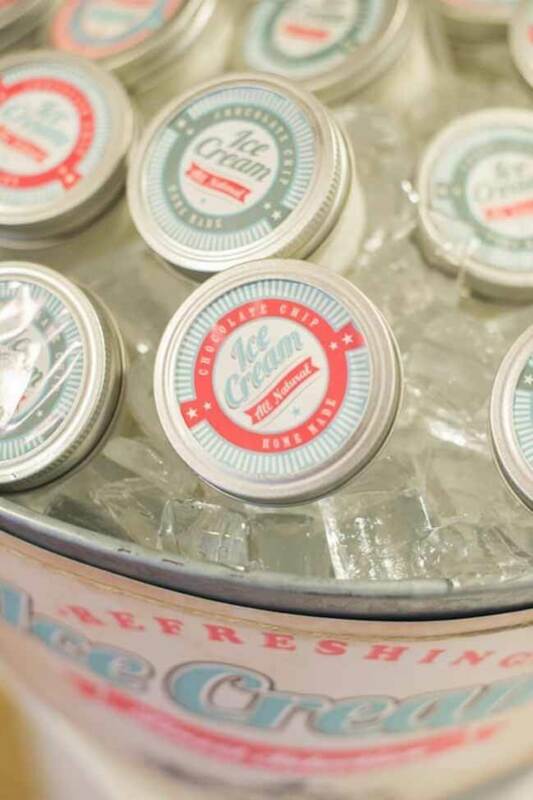 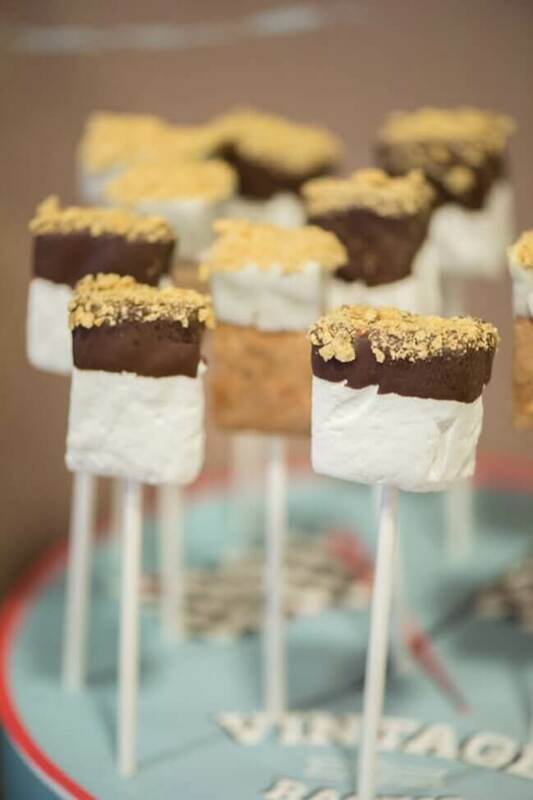 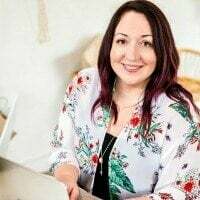 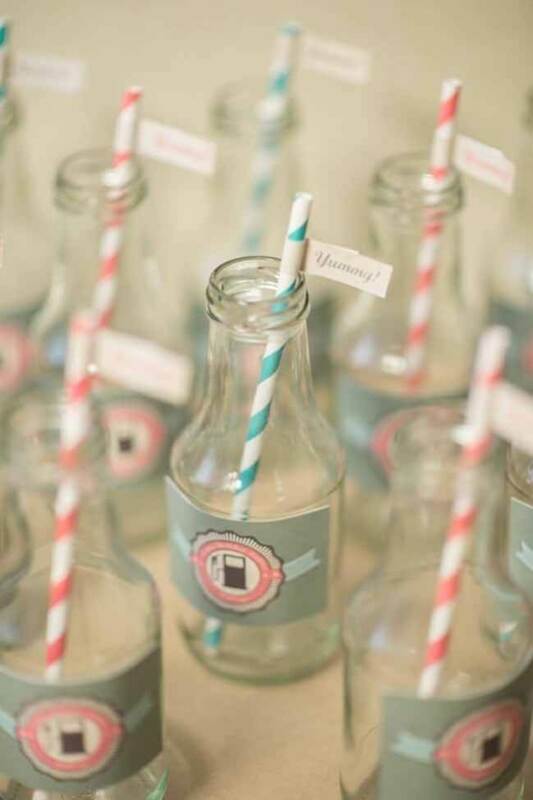 This gorgeous party comes courtesy of Keren Precel Events, who was in charge of planning, catering and designing the party games for one of a kind vintage race car party for a cute little 3 year old boy. 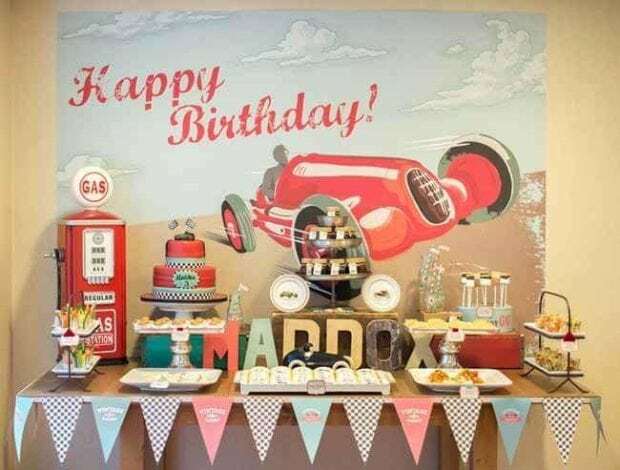 The main table where the food was laid out was called the Gas Station. 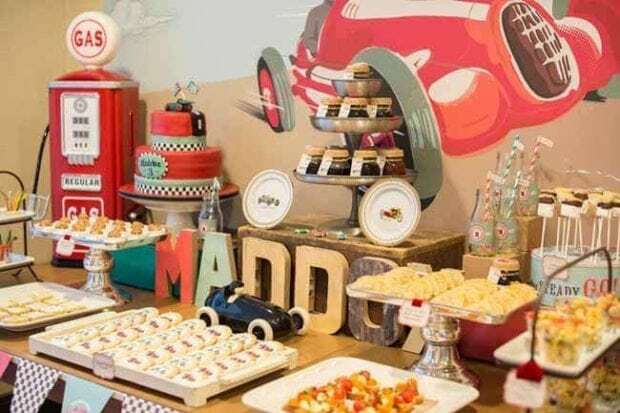 Decor items on the table included a vintage-like gas station, vintage plates and cars. 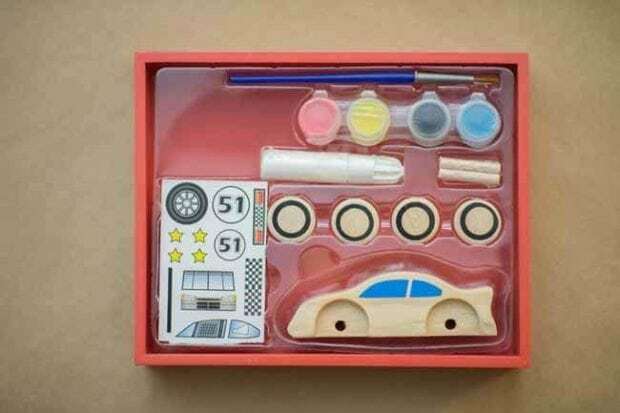 They had Pit Stop where the kids attending the party got to decorate their own “Melissa and Doug” race cars. 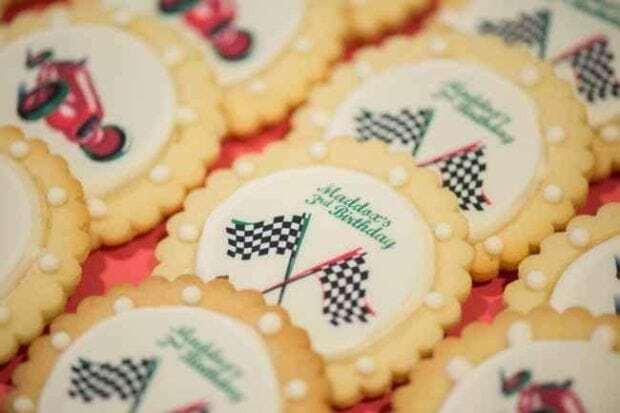 There was a “wishing race track” for the little guests to write happy birthday wishes to the birthday boy. 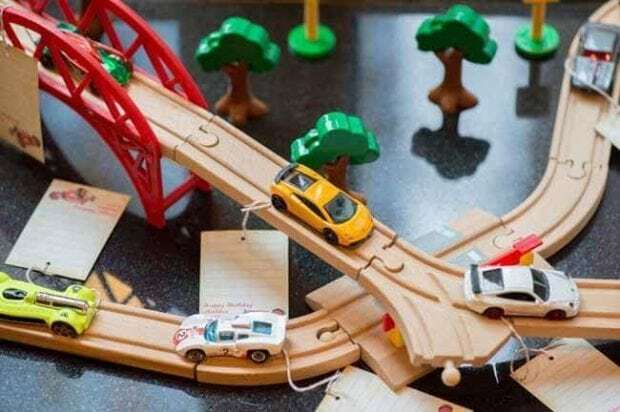 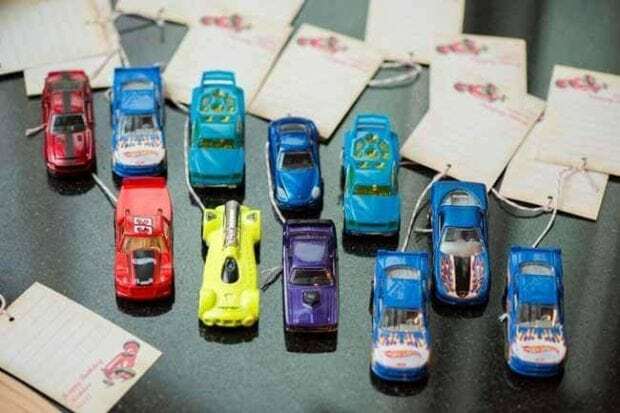 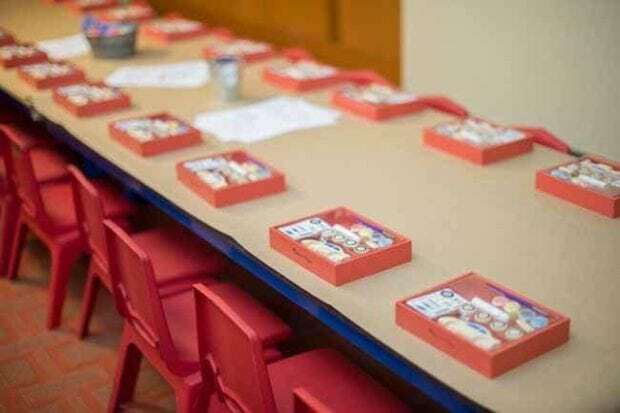 A wooden track was laid out and they designed, custom wish notes attached to small metal cars. 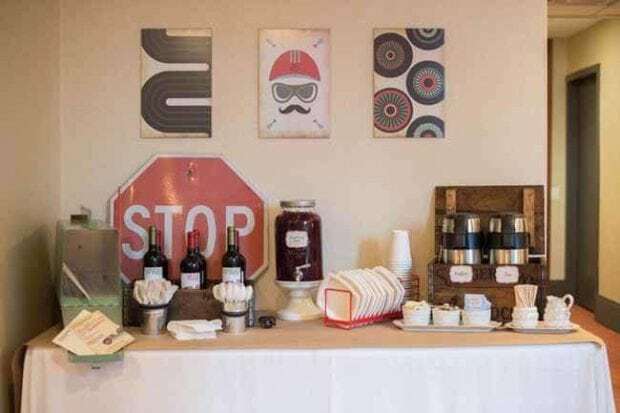 The favor table was appropriately named the Trophy Case. 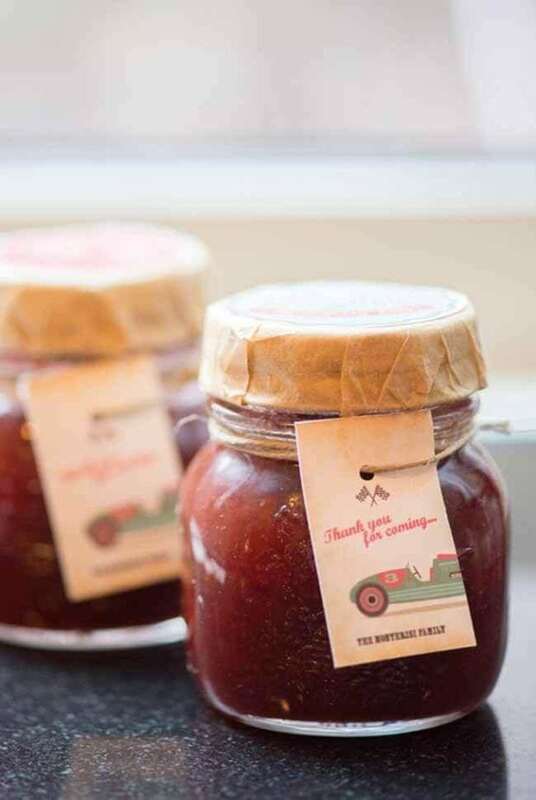 Adults got to take home a custom wrapped mason jar with delicious, homemade strawberry jam. 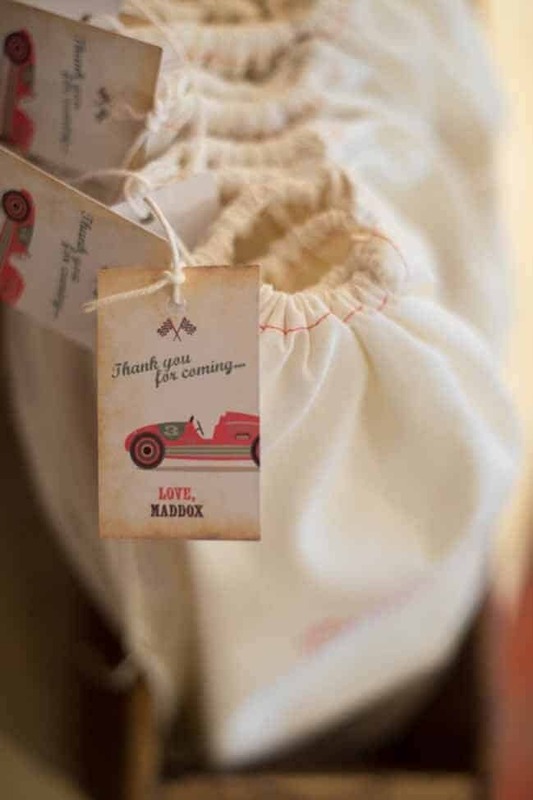 The kids got a 100% cotton bag, stamped with the party logo.